National carrier Air India isn’t having the best time of late. It’s been laying off people over the years, and it’s currently mired in losses that total Rs. 30,000 crore. But its pilots – quite justifiably – still earn top dollar salaries. Air India has advertised 69 posts for recruitment of co-pilots with ATR rating latest by August 22, 2016 for postings at Delhi, Kolkata, Bengaluru, Hyderabad, Mumbai and Bhopal. 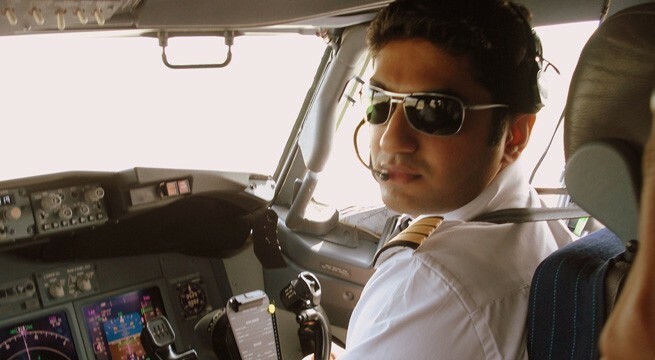 As a co-pilot for Air India, one would draw an initial stipend of Rs.25,000 per month followed by approximate salary of Rs 211,000 per month on successful completion of training. This translates to around Rs. 25 lakh a year. Aspirants for the post should have completed 10+2 and should have valid licence issued by DGCA, India, valid ATR endorsement and Class-I medical fitness certificate and be in possession of current Indian passport. Selections would be made on the basis of psychometric test and Simulator Proficiency Assessment Check (SPAC). These salaries might seem high for the average engineering graduate, but are in line with what pilots earn globally. The median annual salary for an international pilot of a large jet is an impressive $121,408. (Rs. 80 lakh). For a small jet, the median annual salary is $104,219. Air India, which has been reducing its employees over the years, currently has about 19,000 employees. It flies 118 aircraft and serves 86 destinations in India and abroad. The company is is saddled with accumulated losses of over Rs 30,000 crore, is expecting operational profits for the first time in a decade in 2015-16.